So, my family shops at a local grocery, which has one aisle of pricey, cold-pressed juices, gluten-free, soy-based, and organic foods. The other aisles are filled with cheaper, processed, less nutrient-dense foods. A 2013 Harvard School of Public Health study found that eating healthy foods (fruits, vegetables, fish, and nuts) costs about $1.50 more per day per person than eating processed foods and refined grains (white rice, white bread). But this study didn't account for the fact that people who eat healthier diets report better moods, more satisfying relationships, more success, and better overall health and well-being. If this study had accounted for these benefits, I bet healthy eating would have proven to be a lot cheaper than the alternative. 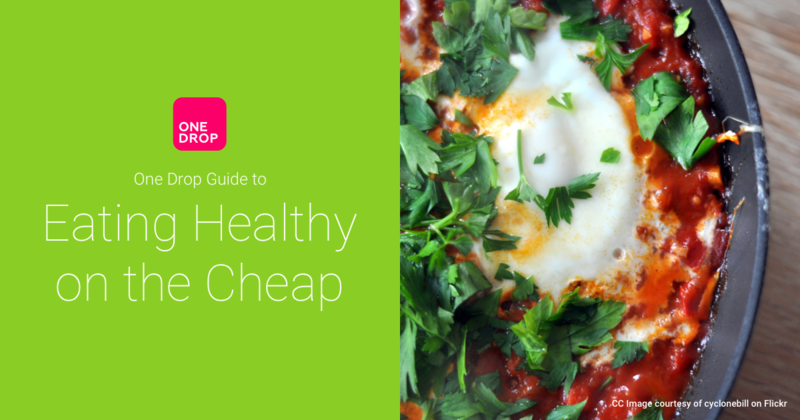 You deserve to be the healthiest person you can be, regardless of your budget. So, click/tap on the image below to check out a list of healthy recipes that taste great and cost less than $1 per serving!